Load up the RV and get the entire family ready, because it’s time for your next family vacation! Living in America means that you have everything from busy interstates to slow backroads; popular tourist destinations to hidden unknown gems; and enough history to help you view the country in an entirely new way. Families that are looking for the perfect destination for their next RV trip should be sure to consider western Pennsylvania. Along with Pittsburgh as the main city, western Pennsylvania offers tons of sites to see, history to learn, and roads to explore. In fact, here are some of our favorite places that surely need to be on your list for visiting. Located on 36 acres in downtown Pittsburgh, Point State Park is one of the most unique landmarks in all of America. This land was originally intended for eminent domain, and now the park that has been designed by Frank Lloyd Wright is one of the most historic in all of the state. The park is also home to two of the oldest remaining structures in the state: Fort Duquesne and Fort Pitt. If you are looking to show your family a deep part of American history while RVing through Pittsburgh, make your first stop at Point State Park. While the name may be a bit misleading, Mount Washington also ranks among the top places to visit in western Philadelphia and Pittsburgh. Though not technically a mountain, this area in Pittsburgh consists of a neighborhood, as well as a steep hill that overlooks Pittsburgh’s skyline – which just so happened to be ranked as the second-best skyline in America! This area of Pittsburgh is full of historic value, making it the perfect destination for your next road trip. And with plenty of moderate slopes on the hill up Mount Washington, it’ll be the perfect test for your RV’s power and capabilities. Those that love modern art will surely need to stop by the Andy Warhol Museum while in Pittsburgh. Warhol is known as one of the greatest modern artists of our generation and many of his historic works are on display here. You can also learn about Warhol’s unique childhood, as he was raised right here in Pittsburgh. Due to the fact that so many people visit the Warhol Museum each year, it also has parking that is specific to RV and motor homes. That means you won’t be driving around the city looking for the ideal parking space, but instead you can enjoy your time looking at pop art exhibits with your family. No matter what time of year you visit, there will always be great sporting events taking place in Pittsburgh. During the winter, head over to Heinz Field to watch the Steelers in action. Or if baseball is more your thing, the Pirates can be watched at PNC Park. Pittsburgh has a variety of different professional and semi-professional sports leagues and teams, making it easy for you to take in a game no matter what time of year it is. 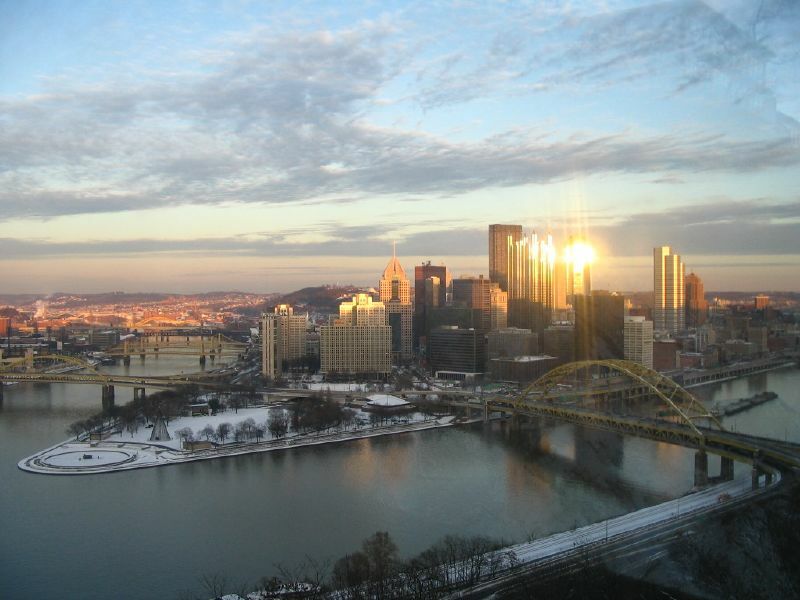 If you are RVing through the eastern United States, then Pittsburgh certainly has to be on your list. As you can see from the choices here, there are plenty of things to choose from that the entire family will enjoy. And when you are behind the wheel, you’ll get to see more than you ever imagined before. Crossroads Trailer Sales has been the #1 5th Wheel dealer in New Jersey for the last 9 years. Our 10 acre lot features over 250 5th wheels, travel trailers, and toy haulers to choose from. We are a family owned and operated business that has been proudly serving the RV community since 1988. Please contact us for all of your 5th wheel and trailer needs. We look forward to hearing from you and thanks for reading! When you head out on the road for a nice afternoon drive with the top down, it’s easy to let things roll off your back as you avoid stress by all means necessary. But when you are driving a large RV or hauling your 5th wheel in rush hour traffic because you missed your exit 20 miles back, it’s not as likely that you’ll be as forgiving or calm. However, it’s equally as important that you do stay cool, as driving a big rig puts you at risk for a variety of different concerns. To ensure your safety while on the road, here are some tips for how to handle stress while driving. There are a lot of things that might bother you, and other people simply don’t understand it. However, the shoe may fit the other foot as well. 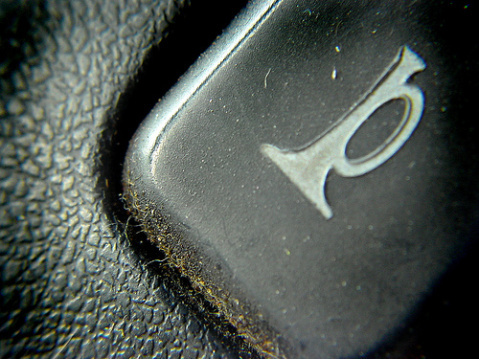 Keep in mind the stressors that you need to be aware of while on the open road. Do you hate it when other drivers cut you off? Or are you more someone who gets frustrated when a city is doing construction during a busy time of day? Whatever it is, understanding what makes you stressed will help you to avoid getting overly worked up during otherwise tense scenarios. You probably shouldn’t be out on the open road on your own to begin with, so you might as well use your traveling partner to your advantage. Tell them about what makes you stressed, and inform them that you just want to keep everyone safe while on the road. You can also ask that your traveling partner manages the other riders on board, so that you don’t have to divert your attention from the road to ask everyone to keep it down. It sounds easy in principle, so consider what you can do to avoid stress to begin with. Are you someone who habitually runs late and ends up stuck in traffic? Do you have a lot of family members that you have to account for? Are you going to be traveling to an area where there will be an increased amount of people? There are plenty of questions that you can ask yourself, as well as answers that you can find, that will help you avoid stress if you plan accordingly. If you don’t, then you really can’t blame anyone but yourself when something happens. In the end, just remember why you are on a road trip. It should hopefully be so that you can spend time with your family, and make the most of your time on the road. Therefore, think of the destination and how happy you’ll be when you get there. If this doesn’t keep you calm, maybe a cold one once you reach your destination will. Packing up the trailer and heading out on the open road with your family can be a wonderful experience. Whether you have some time off from school or work, or you are just taking a quick trip for the weekend, you’ll be sure to make family memories that will last a lifetime during your vacation. However, the journey itself to get there may not be as enjoyable. The truth is that kids can certainly be rambunctious when it comes to being cooped up on the road for many hours at a time. Even if they have a large RV to relax in and enjoy, cabin fever can set in just as much on the road as it can anywhere else. Luckily, here are some kids games while you’re traveling that will be sure to keep everyone busy. There are countless card games to play, and often cards are so timeless as they offer some of the most challenging and tactical gameplay. 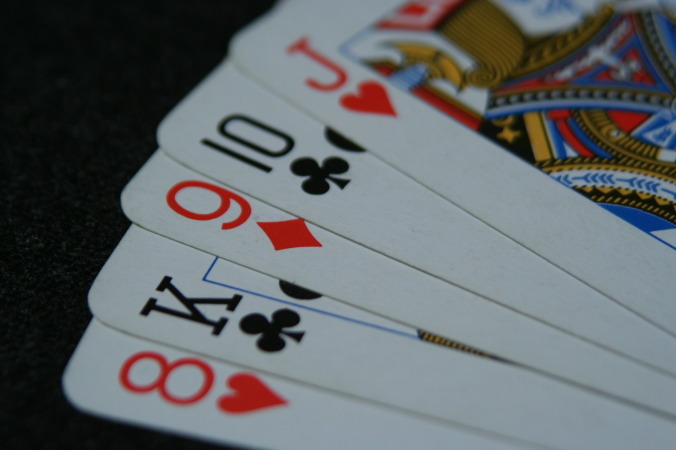 Typical card games may come to mind when you think of playing cards – War, Texas Hold-em, and Blackjack. But there are many other card games that will give you hours of fun. But to choose the right card games depends on how many people will play. For starters, one of the best, challenging games for groups of 4 people, is Hearts. This is a game where the object is to score the least amount of points, or gather the least amount of heart cards. For groups of three or more, another game that offers a low scoring tactic is Golf, a card game where your low card score wins the game. Similar to getting a low score in golf, your choice in replacing cards in your hand can help you beat your opponents and win with the lowest score. If you don’t have more than one or two people, you’ve certainly heard of Solitaire, but have you played double-solitaire? A simple, yet fun game of chance can be played for hours! If you’re travelling colleagues are into a more vocal game, consider some of the more obvious games for kids like “I-spy”. But you’ll find these types don’t last too long as they’re not meant to be played for more than 10 minutes. One of the best games for the road is Twenty Questions; a game that requires the passengers to read what’s on the asker’s mind by asking no more than 20 questions. Starting broad and get specific is the goal of this game! Looking for something more traditional? Board games such as Sorry!, Monopoly and Yahtzee are great substitutes to get out of going through all of the States and their Capitols, especially if you have room to set up a board. You may be looking for an outdoor adventure in your RV as a way to get away from technology or electronics, but you may also want to consider holding onto that mindset until after you reach your destination. That is because your kids can rely on their smartphone, tablet, or computer as a great way to entertain themselves while traveling. Whether they have a few apps that they love playing, books they love reading, or just music they can zone out too, having these electronic devices will certainly add to the fun of the ride until you reach your destination. Your next family outing will be an experience that the entire family remembers for a lifetime. To ensure that it’s a positive one that everyone enjoys, consider some of the ideas for traveling in your RV and keeping your kids entertained with games. One of the best parts of hauling your trailer is all of the great things you’ll see along the way. And while there will be plenty of opportunities for spontaneous memories, there are also a lot of great roadside attractions that your family should plan for as well. After all, this is the best way to get the most out of your vacation when planning it out in the beginning stages. Here is a look at some unique and quirky must-see roadside attractions that are worth visiting. Want to get a look into what living in the future might be like? Don’t forget to stop at the Biosphere 2 in Oracle, Arizona. This futuristic looking facility is made from glass, and it sits amongst the Santa Catalina Mountains. Head inside to learn more about planets in the solar system, as well as what it’s like living in a closed off facility like this. 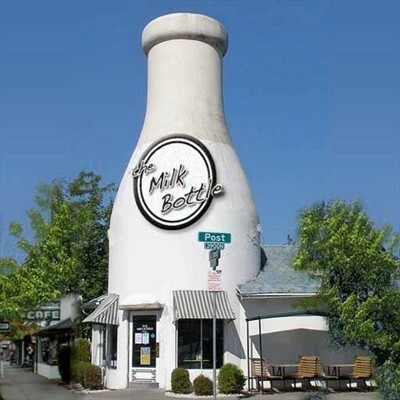 Make your way up to the Pacific northwest and you can see a truly quirky site in the Benewah Milk Bottles in Spokane, Washington. These oversized bottles are located just west of Interstate 90, and you can’t miss the line of people that come from far and wide to see them. Not only is the Benewah Milk Bottles something that the average person comes to see, but it was also part of the famous Johnny Depp movie, Benny and Joon. This one certainly belongs on any list with “quirky” in it. The Blue Whale is something your entire family will love, and kids will get a kick out of visiting while in the Sooner State. The Blue Whale is over 80 feet long, and it is sitting on a small pond in little Catoosa. This is a true backwoods gem that’s worth finding, and it just goes to show that you never know what you’ll see on an American road trip. If whales don’t get your family excited, then maybe dinosaurs are more their taste. At the Cabazon Dinosaurs in California, you’ll see some towering dinos that are over 30 feet in height. Keep in mind that there is also a bit of a religious spin on things in this setup, so that is something to consider before taking your family. No one loves 16 ounces of delicious hops more than the masterminds behind the Beer-Can House in Houston. This home was built by John Milkovisch in 1968, and it has amassed over 50,000 cans. There’s no more beer left in the cans, but it’s still worth stopping by and seeing. There are plenty of places around America that are among the top tourist attractions in the world. But on your way to places like Disney or Times Square, stop to take a look at the quirky must-see roadside attractions listed here. Everyone knows that Disney World makes for a wonderful family vacation. But what many people don’t know is that there is much more to do than just take a ride down Space Mountain or visit with your favorite Disney princess at the Magic Kingdom. One specific adventure that is worth enjoying while at Disney includes taking in the fun of Fort Wilderness. 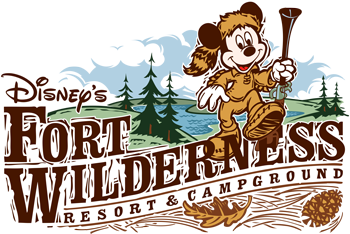 Fort Wilderness is Disney’s own little jungle retreat, which will be a lot of fun for your family. What’s even better about Fort Wilderness is that it provides great accommodations for those that are driving to Orlando with their 5th wheel. Here is a look at all that Fort Wilderness has to offer, and what makes it such an enjoyable place to set your GPS system to for your next family vacation. As mentioned above, Fort Wilderness is ideal because it has a variety of different RV hookups that are perfect for those that are driving to Disney. While parking at Fort Wilderness, your family will feel like they are Tom Sawyer in an outdoor playland. And since there are plenty of hookups for your RV, you’ll have everything you need to keep your rig running at peak performance. While you’ll be able to do plenty within Fort Wilderness, don’t forget that you are also just a short tram ride away from the Magic Kingdom. It’s here that you can visit with your favorite Disney characters, ride all your favorite rides, and grab tons of souvenirs to remember the moment by. And since your trip to Fort Wilderness is part of the Disney package, you’ll be able to easily get back to your rig after a long day of fun and excitement. While you may look forward to seeing your favorite characters at Magic Kingdom, you’ll also be able to see them when they come to visit you at Fort Wilderness as well. As part of the bonus for those that stay at Fort Wilderness, they’ll get a more complete Disney experience because they are staying on the grounds. Throughout Fort Wilderness you will find plenty of fun activities for you and your family. Whether that’s heading out to fish on the pond, or playing volleyball on the beach, there are countless activities to choose from. Driving your RV to Disney can save you a lot on airfare and accommodations. So if you are looking for somewhere special to stay, then head over to Fort Wilderness. This extension of Disney World will make for an unforgettable adventure that no one will forget.